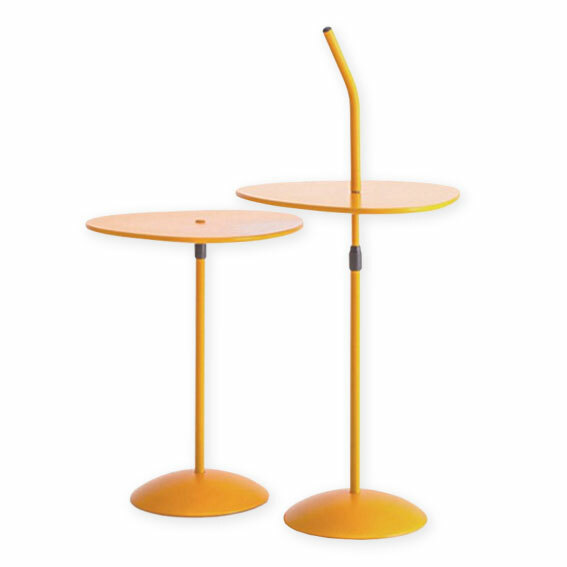 The lotus side table can be used in any type of environment. Used on its own or in pairs, the table is inspired by the iconic shape of the lotus plant where the “carpel” of the flower extends up and creates a handle making the table easy to move and allowing the user to also easily control of the height. Material: Structure in metal and top in mdf. Finishes: Structure and top finish with electrostatic powder coating anti-scratch.